PLUS - Enter to win a full Fall Zoya Nail Polish Wardrobe! 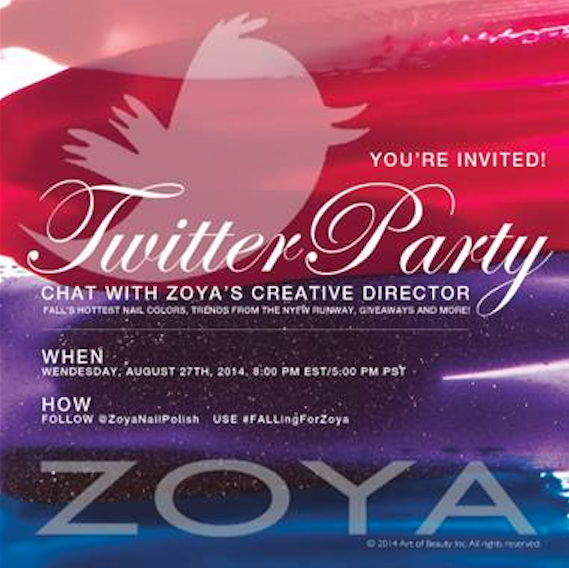 All you have to do is upload a picture of your ZOYA manicure at any time during the Twitter Chat (8-9pm EST) and tell us which shade(s) you're wearing to the party. Don't forget to include #FALLingForZoya. The grand prize winner will be announced at the end of the event following the Q&A session.